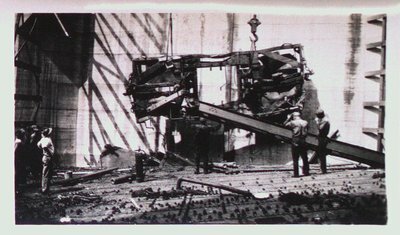 The accident occurred on August 1, 1928 when two cranes were trying to erect an 80 foot steel beam. The boom on one of the cranes slipped and swung out too far causing the crane to topple into the lock. 10 men died in total, 8 died the day of the accident and two men died two days later as a result of their injuries.